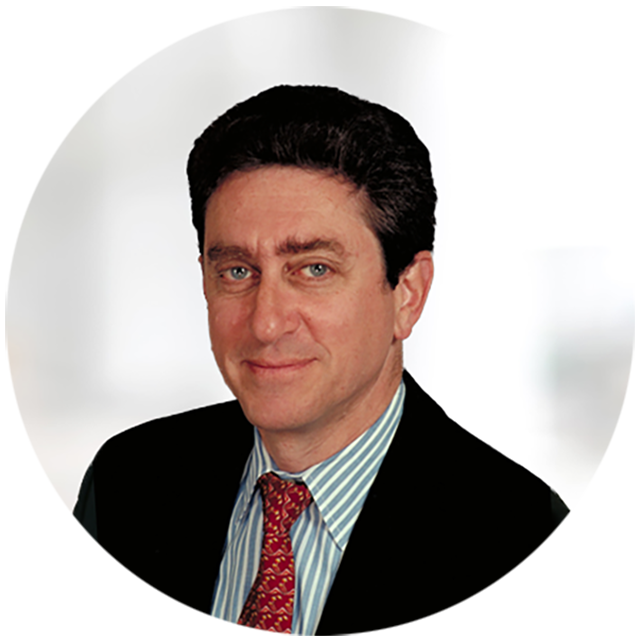 Because of its impact on the Office of Finance, I’ve written in the past about the proposed timeline and IT implications of the convergence of U.S. Generally Accepted Accounting Principles (U.S. GAAP) and the International Financial Reporting Standards (IFRS). While the bottom-line differences between U.S. GAAP and IFRS are likely to be minimal for most businesses, some aspects of the convergence promise to be significant and problematic. One important change is how companies account for leases. The process of arriving at these rules has been contentious because it represents a major change that will entail substantial process and accounting challenges for U.S. GAAP companies. These changes are likely to go into effect as part of U.S. GAAP well ahead of any adoption of IFRS in the U.S. IT systems also will be affected, but software could smooth the transition if vendors provide a workable product. This is the beginning of the season when companies that are on a calendar year begin their strategic and long-term planning. 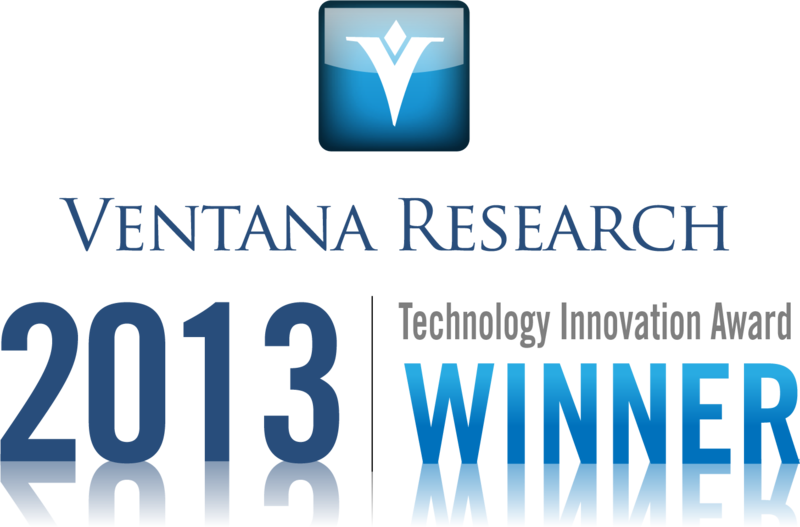 Ventana Research performed an extensive investigation in this area with our long-range planning benchmark research. 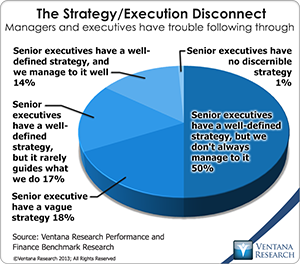 Strategic and long-range planning is a process and discipline that companies use to determine the best strategy for succeeding in the markets they serve and then ensure they have the capabilities and resources needed to support their strategic objectives. 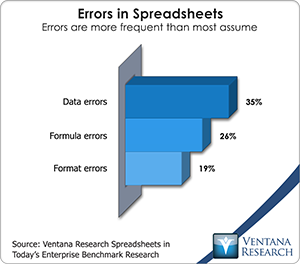 The spreadsheet is one of the five most important advances in business management over the last 50 years. It has changed all aspects of running an organization. It was the original “killer app” that made people go out and buy personal computers. So you see I’m enthusiastic about spreadsheets, but I realize they have limits that must be respected to work efficiently. 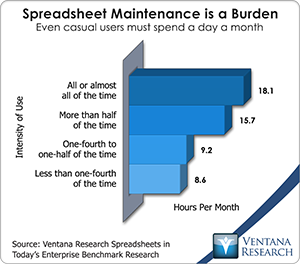 One of the more important findings from our benchmark research Spreadsheets for Today’s Enterprise was about the time spent in maintaining spreadsheets. We asked participants how much time they spend per month in updating, revising, consolidating, modifying and correcting the spreadsheet used in the most important process associated with their job. The answers varied depending on the intensity with which people work with spreadsheets. On average, the heaviest users – those whose work requires them to spend all or almost all of their time using them – spend 18.1 hours per month on maintenance – the equivalent of more than two days per month! Even those who spend more than half their time in this fashion use up nearly two days (15.7 hours). For a tool designed to enhance personal productivity, these results should be sobering to executives and managers. Pricing and profit margins appear to be trending topics, which is normal at this stage of the business cycle. North American companies achieved high levels of profitability coming out of the last recession by staying lean, but this trend has run its course. Margins are being squeezed, and companies are looking for ways to add to the bottom line.